We launched in 1986 with a straightforward motto which encapsulates the framework of our business-- SINCERE, RELIABLE, SERVICE! It was real then and keeps equally true today. As a result of more than 25 years of servicing in the fencing market, we feel comfortable in looking after any and all your desires. Regardless if it be any sort of fence, retaining wall, custom-made sun deck, or landscaping design and excavating. 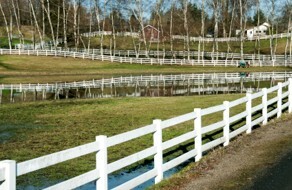 We are definitely your 1 stop shopping for all your fencing and outside living projects. Since the inception of the company, we have never accepted a down payment! We have worked with a key ideal in mind-- Complete every project as if it were our very own home. There in, has been, and is still the key to our longevity and successes. You demand a top quality fence. You have an idea of what exactly you desire, although are not sure precisely what style of fence to have built. Cottam's Fencing will answer your concerns and get you going with the ideal fit to match your requirements. Tell us precisely what you wish and we'll give you all your choices. We source and install both commercial and residential Chainlink Fencing all over the Calgary area. We have an assortment of color schemes and alternatives from galvanized to black, green, white or brown chain link fence. As there are 2 gauge of chain link fence, 11 gauge being the light-duty and 9 gauge the stronger, we install only the best 9 gauge chain link product in all our residential and commercial projects. 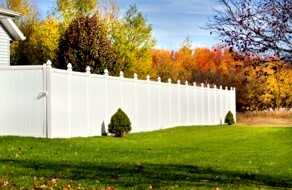 If privacy is a problem in your choice of chain link fence, we are able to also provide several colors of privacy slats. 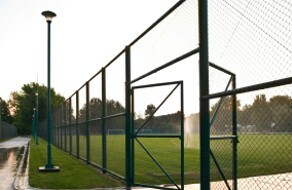 Numerous choices of pipe are also offered for chain link fences, from a 17 gauge light-weight, up to a schedule 40 spec. heavy pipe. In each of of our installations of chain link fence we routinely use a light to heavy gauge commercial pipe to make certain that you as a customer, obtain the best Chainlink Fencing for your money. Black residential Chainlink Fencing, has far and away grown into one of the most typical residential chain link fence these days. We pride ourselves on being one of the most cost effective installers of high quality black chain link fence in Calgary. If you are considering black Chainlink Fencing, or another colour for your residential chain link fence project,. give us a telephone call first, we will be glad to supply you a quote! © 2019 Cottam's Fencing & Contracting. All Rights Reserved. Construction Web Design & SEO by: High Country Web Design.